Once you are in jail and a trial has been set, there are only two options: to stay in jail or to be released on condition that you attend the court dates. In the latter, you can be released of your own cognizance if you do not pose any risk. You could also be released on a bail bond. Family and societal ties: Is the accused firmly rooted in the community and in his or her family? Those who have strong ties are likely to be granted bail. Stability: Does the accused have a stable job that they will go back to as they await trial? Those who do have jobs are more likely to get bail. Criminal history: Has the accused been involved or linked in other criminal acts? Do they have a record? If the accused has a detailed record, then he could engage in other illegal activities when granted bail. Flight risk: Does the accused have reason and/ or resources to flee, especially to faraway places via plane? If they do, it gets harder to get bail and if they do it is a large amount. If you have to bail someone out, you have a number of options. The first is to raise the amount of cash required and pay it to the court. This is only possible if you have easy access to money. The second is to contact a bail bond agent. Once you are in touch, you will be required to pay a premium in order to get the agent’s services. Once this is done, you will also be required to acknowledge that you have to pay the full bail bond amount if the accused flees before his or her court date. In some cases, you are required to put up property deeds, log books and other legal documents. These act as a guarantee of bail bond payment in case the accused flees. 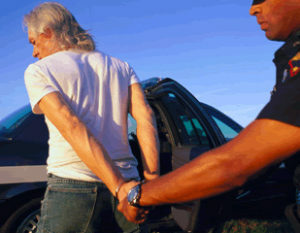 Failure to pay the amount would force the agents to seize your property. Most people’s concern is that they will lose the money they put up as bail. As long as the accused shows up for court and does not travel outside the state or country without prior permission from the court, you get your money back. This is only possible after the trial is done, whether or not the accused is found guilty of the crime. However, if they flee or travel without prior permission, you forfeit this bond and lose your money whether or not they are found innocent. In addition to this, the accused is thrown in jail for the remaining period of time until the trial is over.